Essex Yacht Sales is proud to represent one of Maine's most revered boat builders. 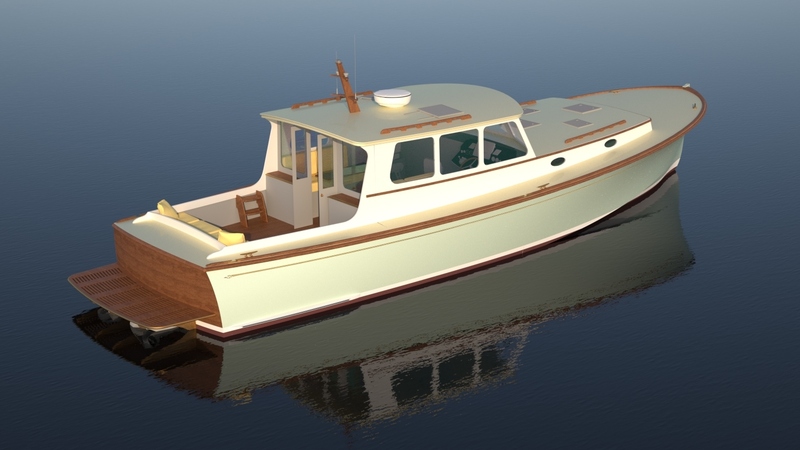 Essex Yacht Sales announces a new marketing alliance with renowned custom wooden boat builder and designer Rockport Marine, of Rockport, Maine. Under the terms of this alliance, Essex Yacht Sales will proudly offer Rockport Marine’s exceptional RM26 classic New England day boat and the new RM44 Express. Above the water, the sweeping sheer and tumblehome of the RM26 speak to the traditions of Maine boatbuilding. Below the water, the V-hull and Volvo Duoprop outdrive provide a comfortable ride throughout her range up to 28 kt. The RM26 has a cold-molded wooden hull. The composite center console may be raised at the touch of a button to reveal the 200 HP Volvo diesel below. With her aluminum framed T-top and large, round-fronted dodger, there is protection from sun and spray. The new RM44 blends a moderate-V, hard-chined hull shape with classic tumblehome, advanced wood composite construction for great strength and extreme durability, a variety of propulsion options, and thoroughly modern mechanical and electronic systems. The RM44 maintains a distinctive, classic look, capturing the tradition of New England boat-building and sea-faring. At 44’ LOA and 14’ beam, the RM44 offers generous accommodations for four, with a queen-size forward stateroom and queen-size mid-berth. Custom-built by local craftsmen in Maine, the RM44 will fulfill the requirements of the most discerning and demanding owners. Essex Yacht Sales, in conjunction with Rockport Marine, will present complete information on the 26’ and 44’ boats at the Connecticut Spring Boat Show, Brewer Essex Island Marina, Essex, Connecticut, from May 13 to 15. Design staff from Rockport Marine will be on hand to meet prospective clients and discuss the bespoke design services offered to owners. Essex Yacht Sales is a newly formed Yacht brokerage, with more than 25 years’ experience in distinctive Motor Yachts, including Grand Banks and Eastbay and many other fine builders. Located at Brewer Dauntless Shipyard in the heart of Essex village, Essex Yacht Sales is ideally placed to serve the more than 23 million residents living within 50 miles of Long Island Sound. The company is noted for providing personalized, concierge-level services to discerning clients. Rockport Marine Inc. is a premier wooden yacht builder, designer and service yard in Rockport, Maine. Founded in 1962 by Luke Allen, and now in the third generation of family ownership, Rockport Marine specializes in new construction, restoration, and design work for a wide variety of boats, from traditional plank-on-frame to modern wood-composite vessels. Rockport Marine offers design services for yacht owners and support services for yacht designers throughout the industry. The facility also provides storage, metal fabrication, and boat hauling. More information about Rockport Marine is online at http://www.rockportmarine.com. 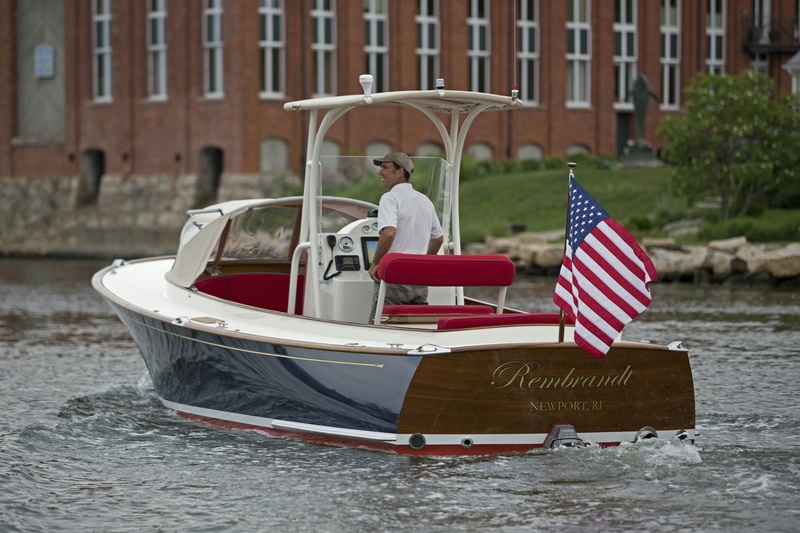 RM26 by Rockport MarineThe sweeping sheer and tumblehome of the RM26 speak to the traditions of Maine boatbuilding. RM44 by Rockport MarineA substantial Yacht, offering generous accommodations for four, RM44 utilizes wood composite construction for extreme durability and strength. A variety of propulsion options are offered, combined with advanced electrical and mechanical systems.